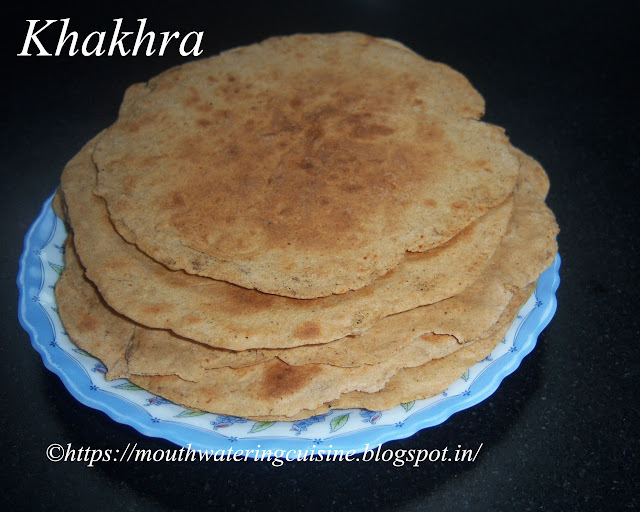 Khakhra is a thin crackers made from whole wheat. It is a Gujarati snack item. 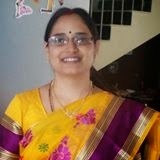 They are roasted on chapati tawa till they become crisp. They use very less oil, so they are very healthy. We normally buy them from stores, but when I was searching for some other recipe, I come across about this one. I was excited, so tried immediately. Of course they are not looking like the one we get from market, but the taste is nearly as it is. I need to improve the shape. 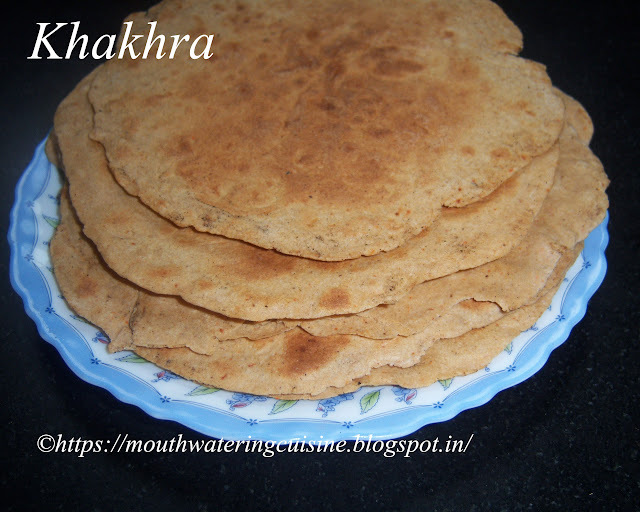 They can be made in different flavours like methi khakhra, dhaniya Khakhra, jeera Khakhra etc., This is the first time I am trying so I tried plain, next time I will try to make all the available flavours. 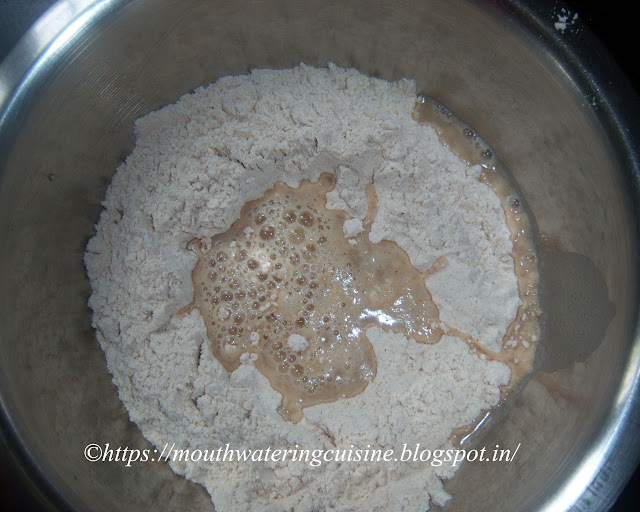 In a mixing bowl mix whole wheat flour, slat, red chilli powder and jeera powder. Take small portion of the dough ball and roll it with the rolling pin. Roll it as thin as possible. Roll them like that of thin roti. 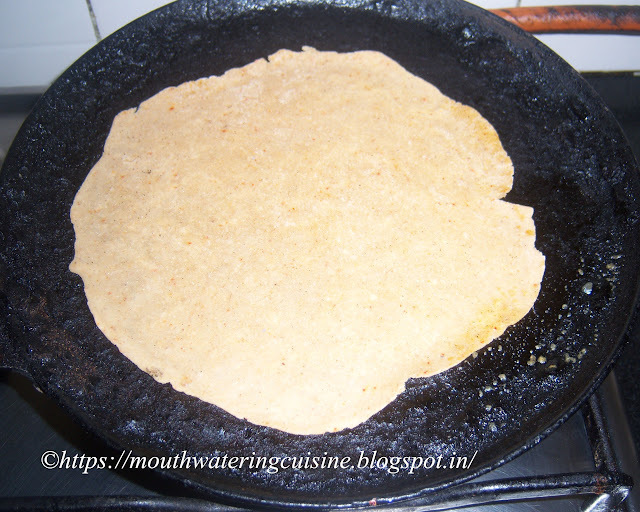 Heat roti tawa or non stick pan, roast the roti without adding oil. While pressing with a spatula or with a cloth roast it till it become crisp. 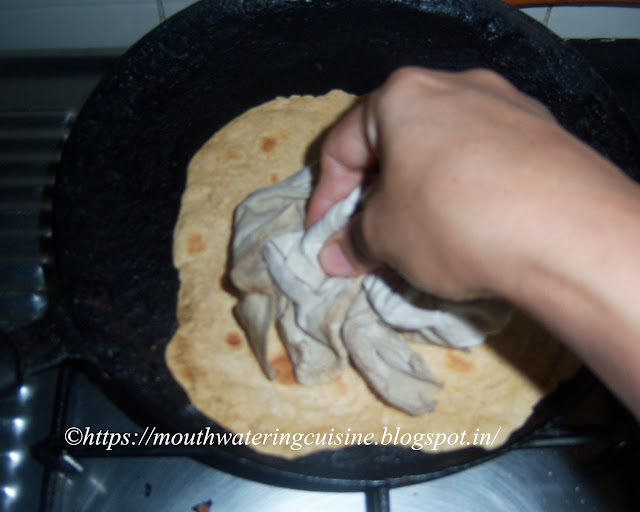 Do not allow the roti to puff. Cool them and store in an airtight container. 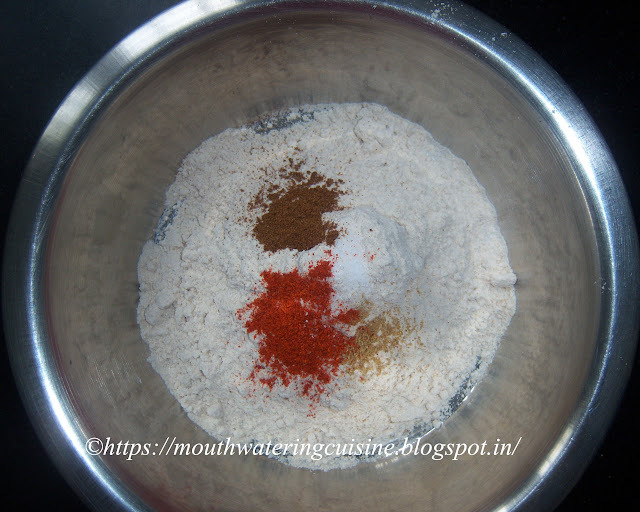 In a mixing bowl mix whole wheat flour, salt, red chilli powder and cumin seed powder. 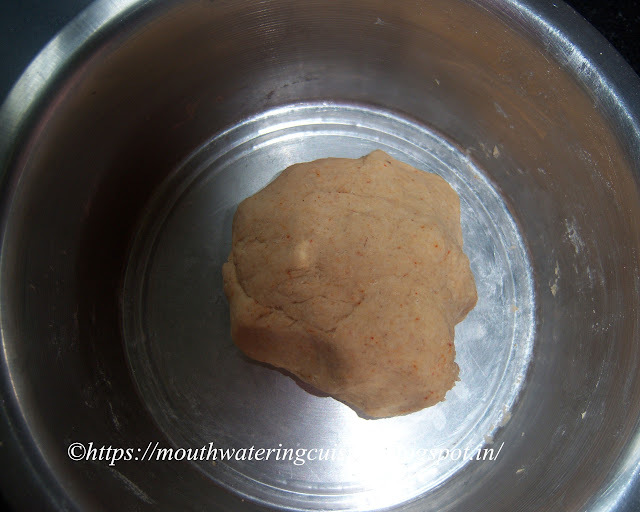 Make a smooth dough. Knead well. Take small portion of the dough. 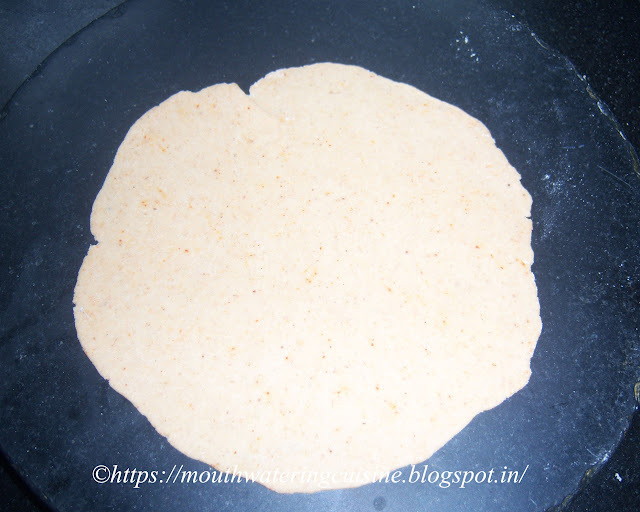 Using a rolling pin roll it to make a roti. Roll it as thin as possible. Avoid dusting it with dry flour. Heat a non-stick pan and roast the rolled khakhra on it. While roasting it press it with a cloth or spatula, so that it won't puff up. If it puffs they will become like normal rotis. Spread little oil on to them and again press it with the cloth. Cool and store them in an air tight container.